T/O Witchford 1745 - target Wilhelmshaven, Germany. Lost without trace. On the last of 14 major Bomber Command raids on Wilhelmshaven that began in early 1941. 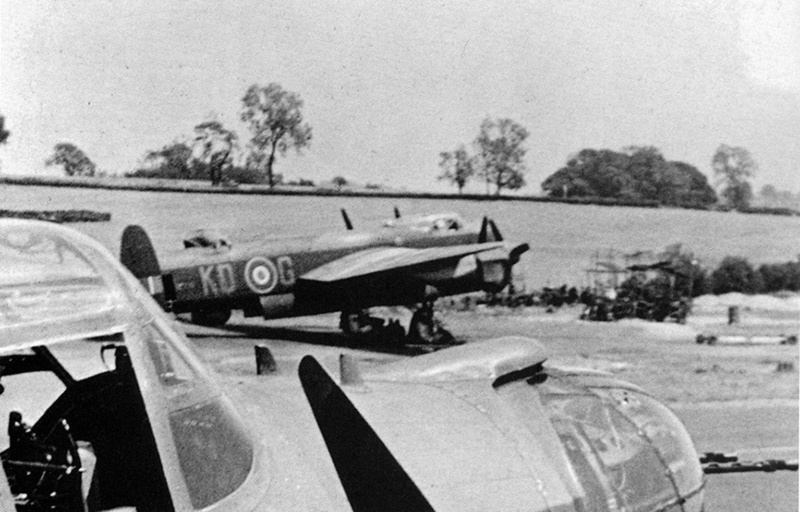 Bomber Command claimed 'severe damage' to the business and residential areas. Son of Albert and Mary Perry, of Coventry. Husband of Winifred Elsie Perry, of Coventry. Age: - 28 - °24 July 1916, Little Easton, Essex. Son of Harcourt and M. E. Franklin. Husband of Joyce Muriel Howard, of Felpham, Sussex. Son of William Josiah and May Beatrice Clarke, of Birmingham. Husband of Maud May Clarke, of Hall Green, Birmingham. Son of Florence Bennett, of Portsmouth. Husband of Iris Nora Bennett, of Fratton, Portsmouth. Son of John and Rose Edith Lynch, of Adamsdown, Cardiff. Son of Ernest E. and Rose Wood. Husband of Ilma Constance Wood, of Lozells, Birmingham. Son of John and Elizabeth Elvish. Husband of Vera Elvish, of Pantygasseg, Monmouthshire. Son of Annie Lucy E. Atkins, of South Norwood, Surrey.